"[...]I guess we all in a way are fascinated by the dark side of life, by things that have a certain mystery. Why do we slow down on the highway if we see a car accident on the other side of the highway ? I guess we’re all in a way curious and fascinated by the dark side of our mind." Intravenous Magazine: Your new album 'When Evil Speaks' has just been released how do you feel to have another new album out? Johan Van Roy: It’s always a big moment to finish a new album, and even more once you get the final product in your hands. For me my music is like having a kid/baby, I simply can’t imagine a life without it. And even after so many years and so many other albums it still remains a wonderful moment to finalize a new album. It’s like finishing a new book or painting. IVM: This has been highly anticipated has there been any pressure in writing this album? JVR: Apart from the pressure I put on myself there hasn't been any pressure from the outside to finish this album. I always had the luck that both Dependent (in the past) and Out Of Line Records (my current label) gave me this freedom and never put me under any pressure. I always could do my thing and under my conditions, so I guess I'm a really lucky guy. The only pressure I had came from myself, giving myself a strict deadline and always setting the sight high. IVM: What has been the inspiration and influences you have received to create these songs? Same as usual… radio, TV, movies, newspapers, books… all you can find in the media. You just name it, I use it. IVM: Your subject matter depicts a lot about hell, killers, society and religion, some of which isn’t exactly bedtime reading. Have these subject’s always interested you or has this developed as you’ve grown? But I guess we all in a way are fascinated by the dark side of life, by things that have a certain mystery. Why do we slow down on the highway if we see a car accident on the other side of the highway ? I guess we’re all in a way curious and fascinated by the dark side of our mind. IVM: What message do you hope to convey to your audience with such material? JVR: I know my lyrics and my messages won’t change the world, but with writing about controversial subjects like religion etc.. I at least hope to open their eyes for a moment, as most people of today are just running around blinded and refusing to see reality. Like it or not, things like child abuse, suicide, serial killings, murder … are daily reality. So in my opinion I'm just offering a mirror to reality. IVM: Your first single off the album is 'Attention Whore' why did you pick this as your single and what inspired the song? 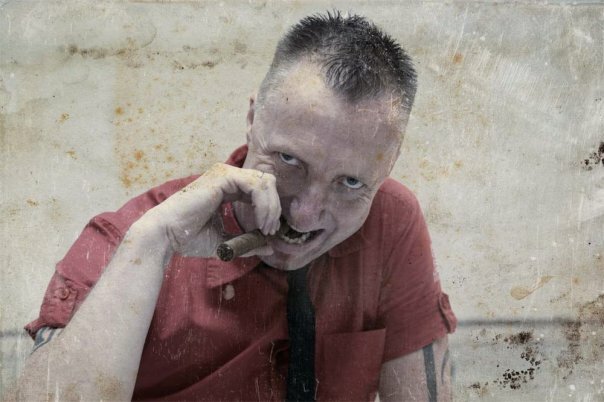 JVR: I had no particular reason for picking 'Attention Whore' to be the first single off 'When Evil Speaks', it just happened to be club friendly and above all it was one of the first songs I finished for the new album. Furthermore I absolutely wanted to write a song like this as I got so tired of the growing ego’s in today’s society. Some people would do all these days just to gain some attention. Nothing wrong with that as long as you gain it in a positive way, but the sad thing is that most just try to get attention in a negative way, with bashing on others, spreading hate and envy… There has come so much hate and envy into our daily life. Sadly enough it even reflects in our own electronic scene where some musicians think they’re god or think they’re so much better or wiser then others. 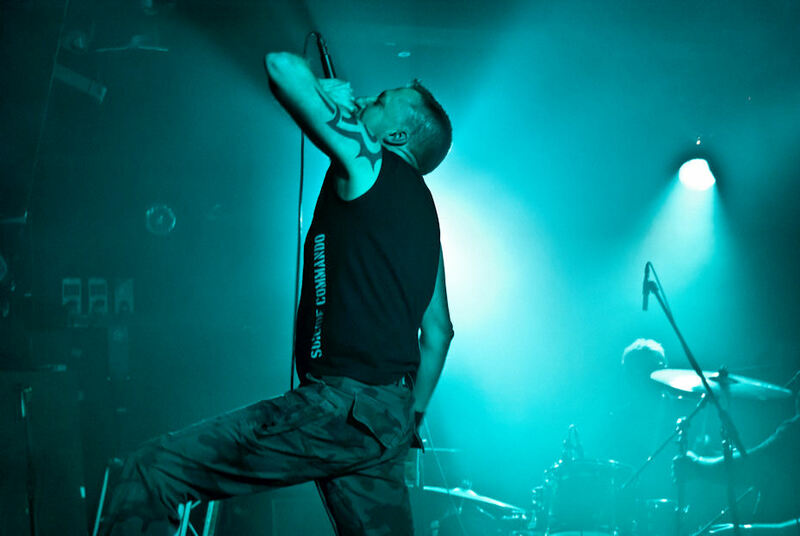 IVM: Who or what has been the ultimate influence on Suicide Commando’s progression? JVR: I've always been a self made man, so I never had much help on the music side of things, so all of my albums were solely written by myself. But I guess the biggest reason for the progression of Suicide Commando over the years is my passion for this kind of music. Without this passion I never would have achieved all the success I gained over the years. There are many bands around these days, but I'm lacking this passion and an own identity for many of these bands. Many of these bands just sound and want to sound the same as the others. IVM: Again your albums focus a lot about hell, what would your version of hell be like? JVR: Hell often gets described as something evil, full of fire, devils and pain… but I don’t necessarily see hell as something bad or evil. IVM: And in contrast what is your ideal heaven? JVR: Hell and Heaven were invented by the church, so I seriously doubt there is something like a Heaven or a Hell. But if there would be a heaven I’d like it to be something more peaceful without any pain, grief, violence or terrible diseases like cancer. If you look at it I’d say we’re already living in hell right now. IVM: When you’re not working how do you do to relax? JVR: Well I must say those moments are pretty rare, because apart from my job, my music and my family life (being a dad) there’s not much time left for other things. But the few free moments I get I’d like to catch a movie, or play some Xbox games … nothing special. IVM: You are playing Wave Gotik Treffen and will be at Amphi IX this year, do you enjoy playing the festival circuit? Which is your favourite and why? JVR: Yeah, I really like doing festivals as you can reach so many more people then with a club show. I actually like doing both, as I like the small intimate atmosphere of a club show where you probably only get your biggest fans to visit, but I also like doing the big festivals and see thousands of people go berserk on your music. I don’t have any favourite festival though as I like them all, each has their own pros and cons. IVM: At WGT you will be playing a special "Vintage set", playing nothing but the first two albums of your career, why did you choose to do this instead of promoting your new album? JVR: The vintage show at WGT was already confirmed way before I even finished my new album and since the special limited metal box version of 'When Evil Speaks' includes a bonus disc with a live recording of our vintage show, I think it fitted pretty well. I could have done some sort of combination playing old and new songs, but I don’t like this combination that much as I think my old material meanwhile became so different from my latest works. Don’t get me wrong, I still love all my stuff whether being old or new material, but mixing them live wouldn't be ideal in my opinion. IVM: Where do you see the electro/industrial scene heading in the next five years? JVR: Like I said before I do notice there are much more bands around these days, but unfortunately quantity doesn't always mean quality, so I'm lacking some passion, creativity, own identity … these days. But I don’t want to complain, I'm sure the better bands will survive and gain the attention they deserve, so I'm sure the scene always will be on the move. I'm pretty confident about that. IVM: After all the promotion and tours what do you think is next for Suicide Commando? JVR: No concrete plans at the moment. At the moment I'm working on some totally different musical things which I can’t reveal right now, plus I’ll be doing some more remix work in the next couple of months, but apart from that I don’t have any big plans right now. I always need this break after finishing a new album, just refreshing my mind, so I can start working on new Suicide Commando material soon. The work never stops! 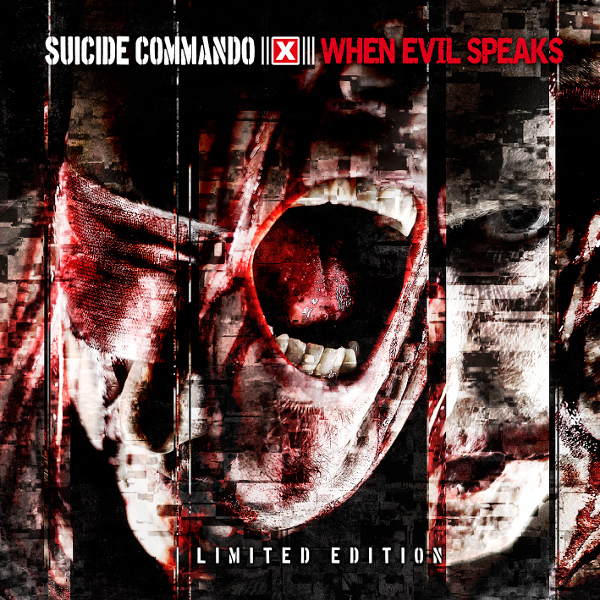 The Latest Suicide Commando album, 'When Evil Speaks' is available now via Out Of Line Music. For more information on the band, please visit the official website.